There’s nothing like connecting with the lovely quilting ladies of the North Jersey MQG to light a little fire under my pedal foot. I always come away so inspired and motivated to try something new. I didn’t know that I would end up having new energy to take on something old. When I came home on Thursday night I went to the closet to stare at my fabric and figure out what to tackle next. Remember this fabric? (Purchased in AUGUST! Yeesh.) 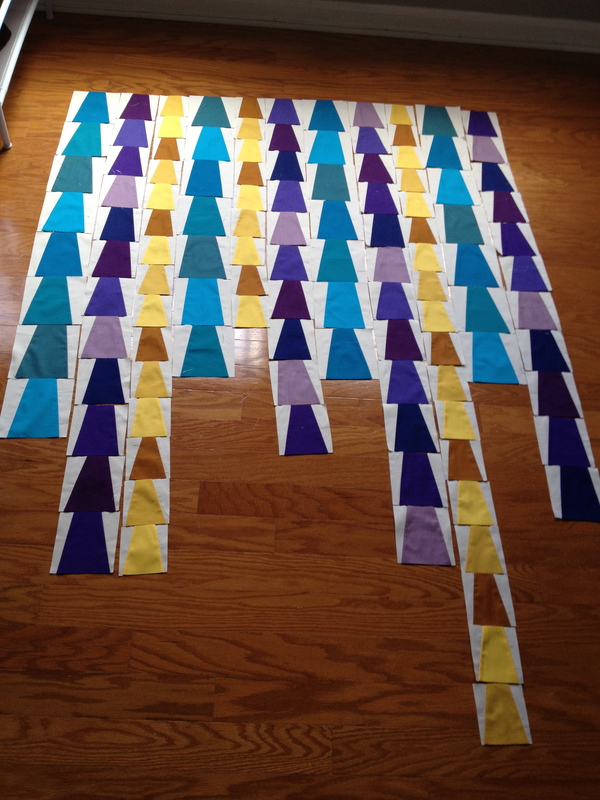 It was part of the Newbees solid challenge, where the goal was to make a quilt top with only solids. I was hoping to use it on Elizabeth Hartman’s Glam Garlands pattern, but my ambition was bigger than my time frame. 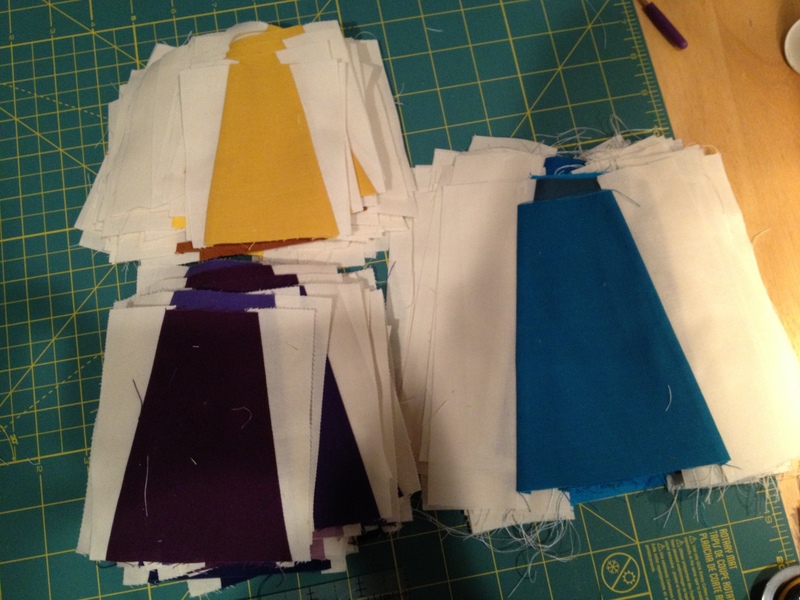 Those wonky blocks take a LOT of cutting, and so I stopped sometime in the fall with only 2/3 of the blocks done. I really love those colors. So on Friday, I finished piecing and cutting all the blocks. 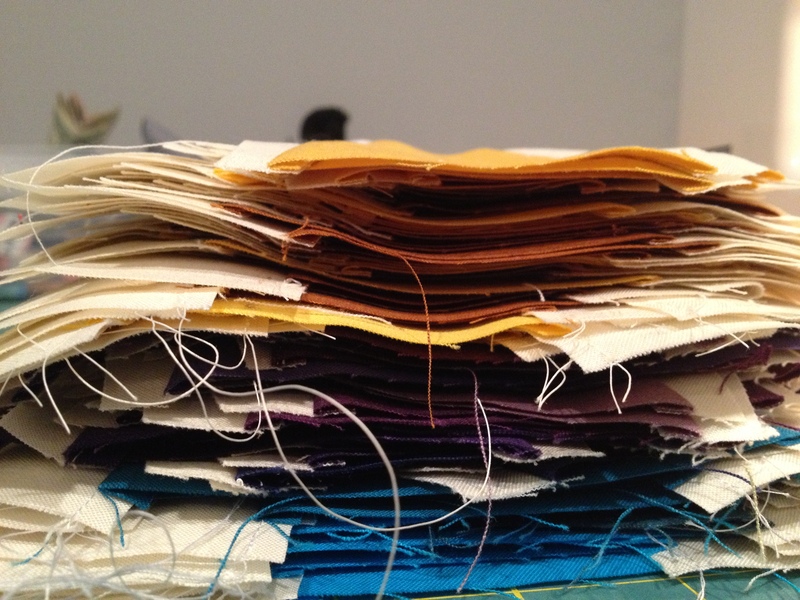 And by Sunday night they were laid out in rows and sewn together. I love this so so much. The piecing finally feels like it was worth it. 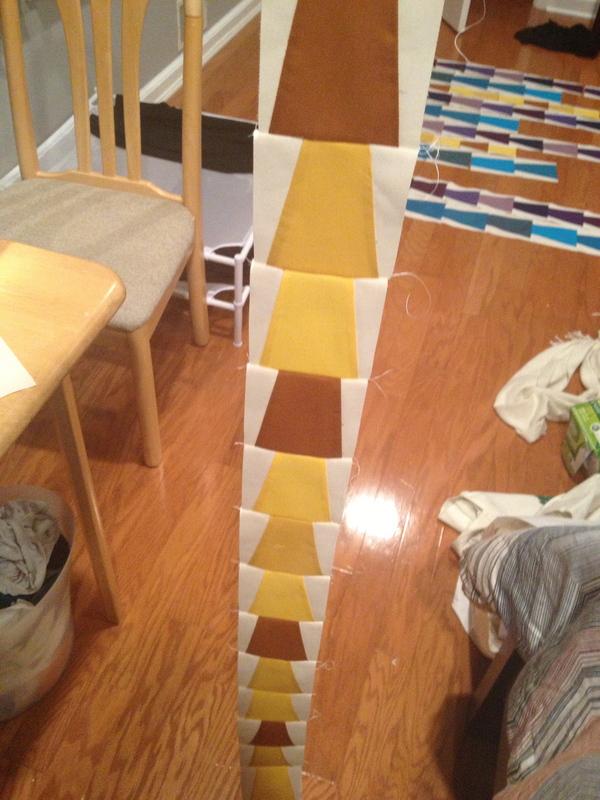 Hopefully the rest of the top will come together quickly and I can move on to quilting next week. such good colors for year round…I’m a sucker for that family of blues. I have at least a half dozen shirts in those peacock shades alone. love love love it. Those were the first colors I chose. I once painted bathroom walls peacock blue. Love it too.